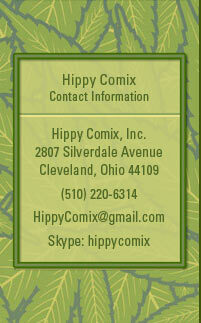 Expanded Listings of Underground, Alternative and Adult Comix! Limited Edition Signed & Numbered Hardcover signed by Frank Stack and Dan Fogel! Order Your Softcover or Hardcover Copy! 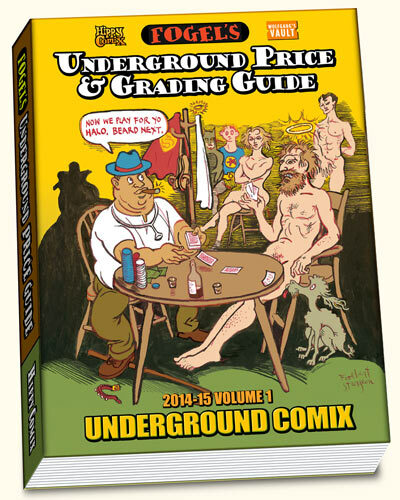 Get your copy of the new, expanded edition of Fogel's Underground Price Guide! The standard edition is only $39.95 and the hardcover limited edition is only $74.95. This expanded edition includes updated prices and detailed printing identification for over 9,600 listings (almost twice as many as the 2006 Guide). It also features a comprehensive Underground Comix Grading Guide, articles, galleries, biographies, and market analysis. The hardcover edition includes all the content of the softcover plus a book plate that is personally signed by Frank as well as Dan Fogel! But order the signed and numbered limited edition hardcover today, as we have less than 25 copies left of the 100 original copies!